Desc: Landstrom's Black Hills Gold Sterling Silver man's ring. 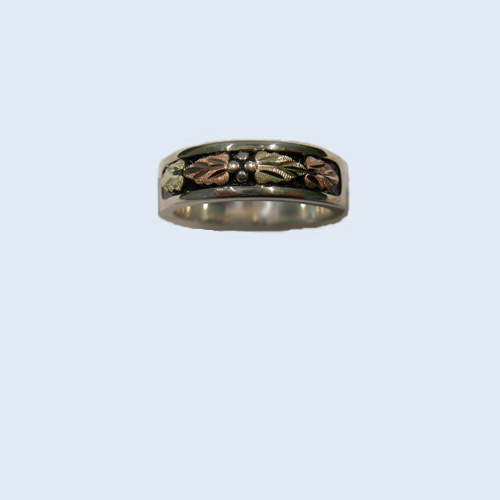 The rose and green gold leaves are mounted across the apex of the ring with black antiquing behind the leaves. Made in the United States of America.